ikea – How Do You Figure? If it stays that way, then I’ll have made the cover! 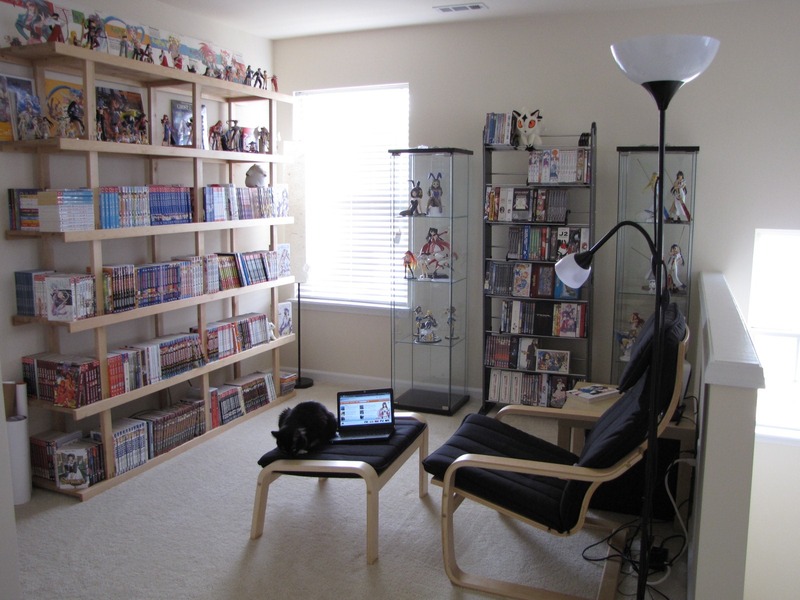 The top left image is a shot of the lounge, complete with cat! As cool as it is, I would have preferred that they used a different image, I’m particularly fond of the nigh time shots, which show the display cases all lit up. It seems that Danny is partial to those pictures too, as one of them wound up being used in the banner for the Otacool portal. 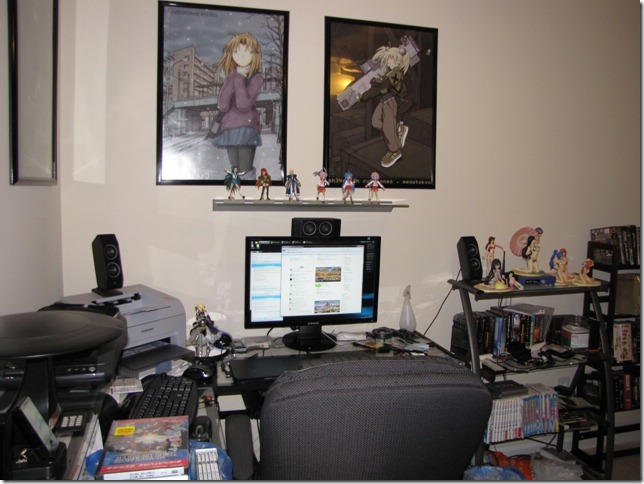 Due to the compliments I received from the last post and all the questions asking about other areas in my house, I was encouraged to clean up the computer area that is next to my otaku lounge. 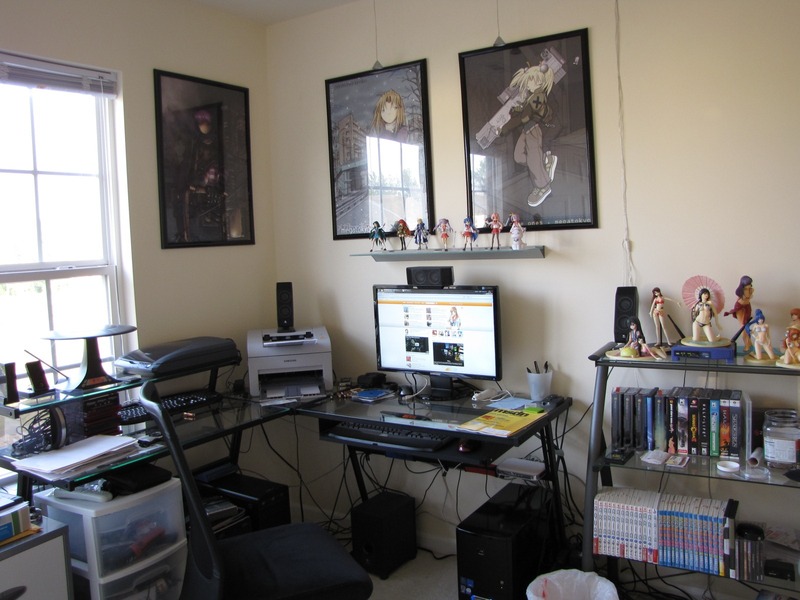 After sorting away some papers, tidying up the desk, and removing the junk from the floor, the area was finally photo worthy. Here’s a better view of the desk area itself. Not too much here to talk about except for the couple of interesting decorative items I have. 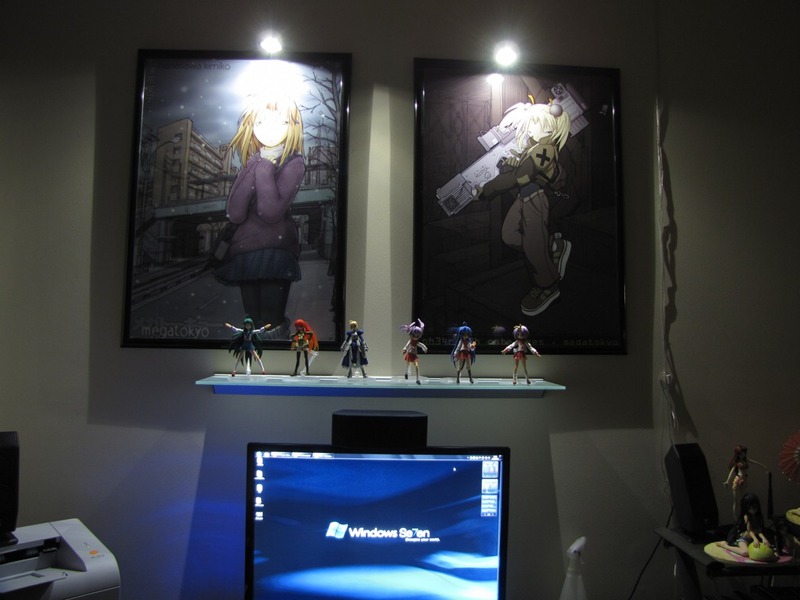 Above the desk are three posters from the MegaTokyo webcomic (all available from the Megagear store): Polesitting, Kimiko, and Ph34r teh Cut3 Ones. I also have the .N1T3Z poster, though that is hanging on the wall of my cubicle at work. I also keep a shelf of Figmas above the monitor (shelf is a LJUSDAL from IKEA) and they’re lit by a set of LACK LED pendants. 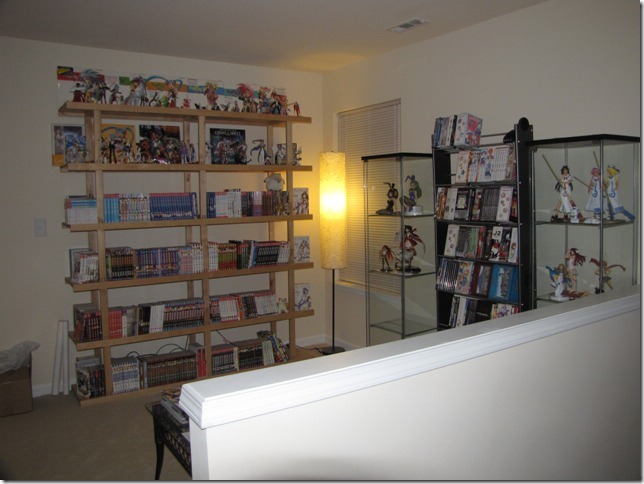 Since Danny’s “Your Room” contest, I decided to make a couple of improvements to my upstairs loft area. A couple of trips to IKEA later, and I’m proud to show off the final product! The changes are fairly subtle, but I decided to do away with the coffee table in the middle and replace it with a smaller side table. 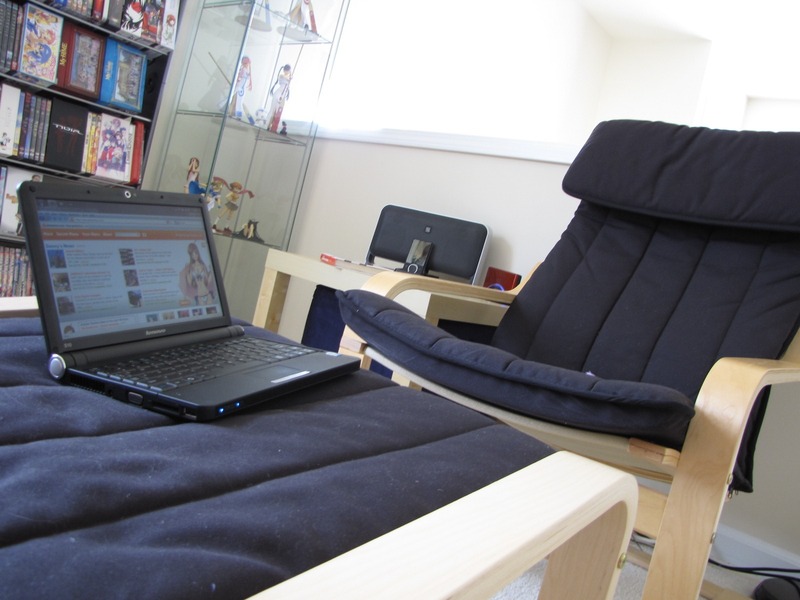 The chair and footstool came from IKEA’s clearance section (both were floor display models and in excellent condition) as did the reading lamp. 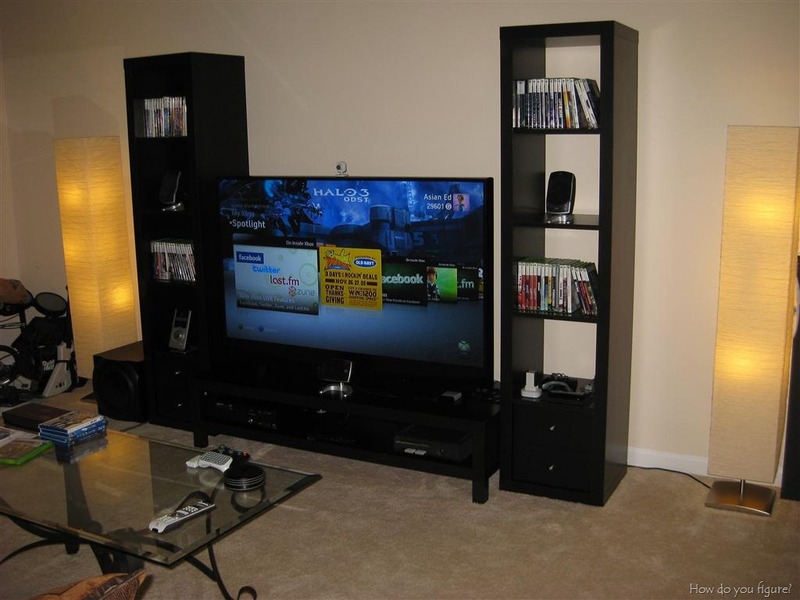 I think the entire area only has two furnishings that aren’t from IKEA… the lamp in the far corner and the DVD storage rack. 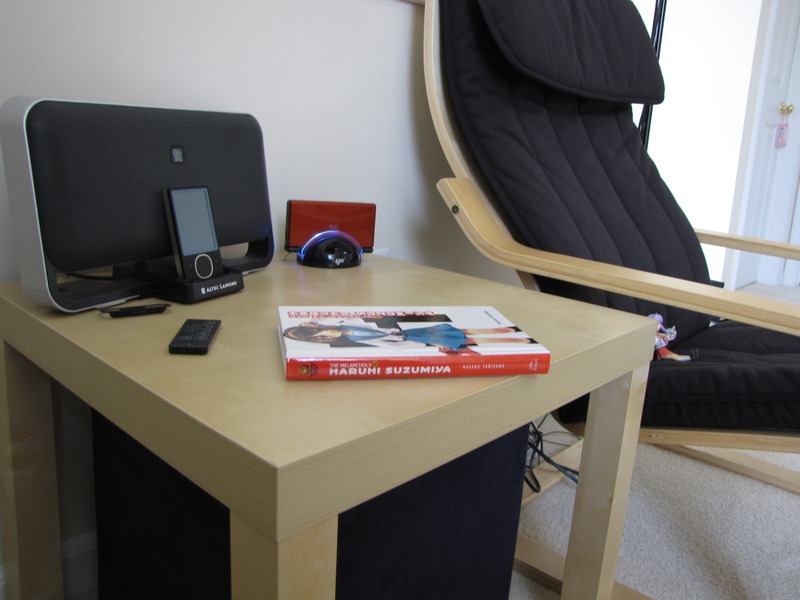 I particularly like the side table, as it gives me a place to put things like books and other trinkets. The Altec Lansing Zune Dock and Zune are to be permanent fixtures on the table and will allow me to have music while sitting and relaxing. The wireless sync ability will allow me to easily download new music to the player. I’ve also decided to keep my DS charger here. I’m quite happy with the results. 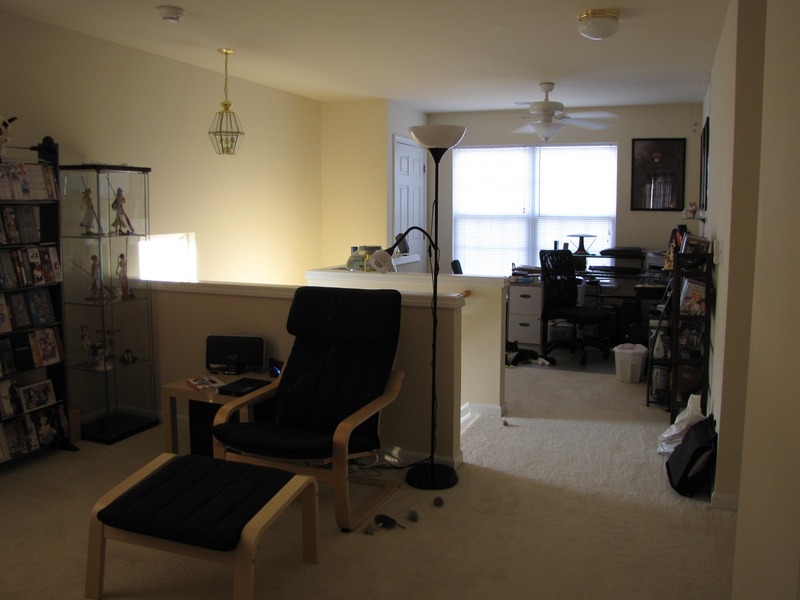 At some point, I may consider changing out the flooring and replacing the carpet with a hardwood floor. Tatami panels might be interesting and fit with the theme. For now, however, I’m content with the way it is. I hit IKEA again over the weekend (second week in a row!) to pick up some other items that I left last time. 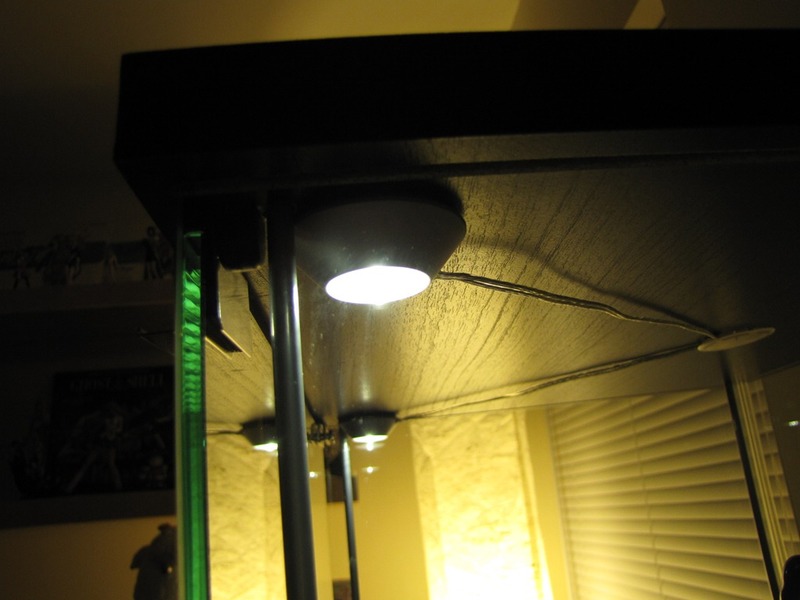 While browsing, I stumbled upon a couple of LED light sets from the LACK series. They looked pretty interesting, so I jotted down the name and went to look at them later. 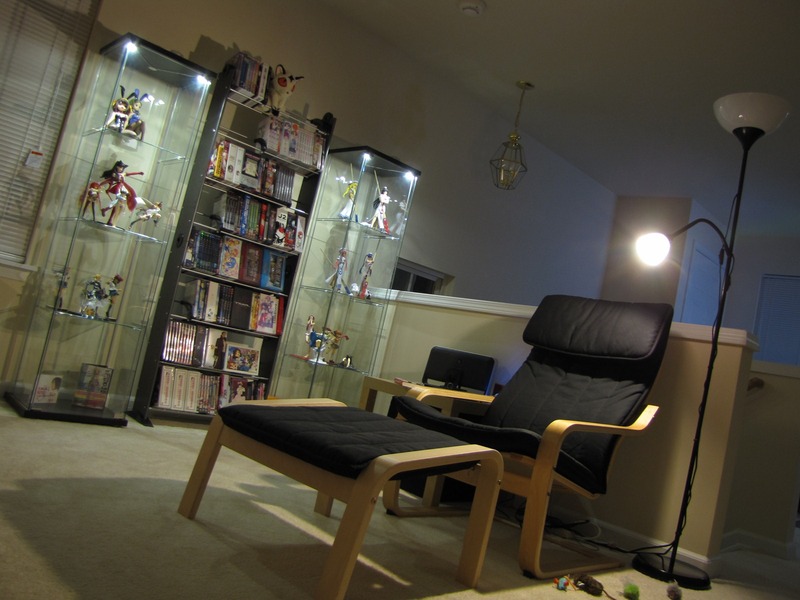 The lights came in a couple of variants, a stick-on spot lamps, hanging pendants, and angle adjustable spots (presumably for a book shelf). Since they looked interesting, I went ahead and picked up one set of the stick-on spots and one of the hanging pendants. Getting them home, I set to work to putting them up. First for the pendants. They were actually fairly difficult to put up, since I had to measure from the ceiling and approximate the distance based on where my shelf was. 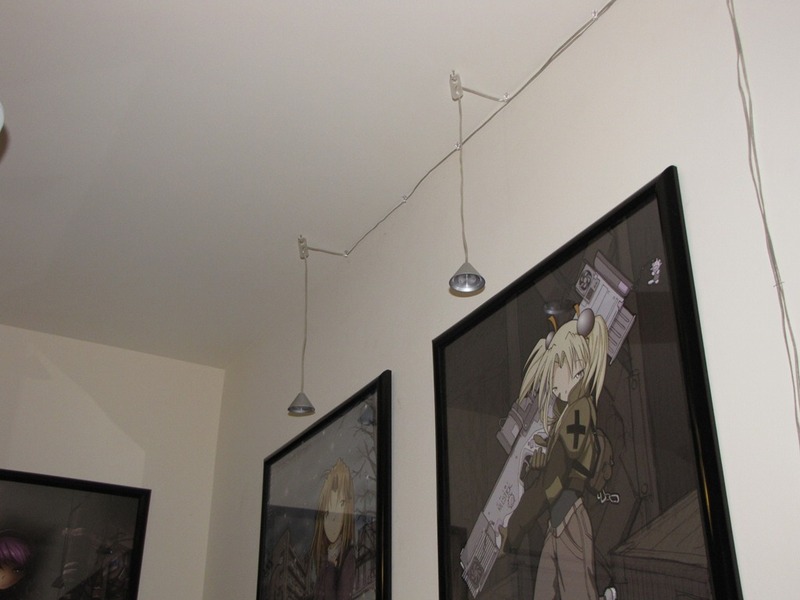 Once they were hung, there was the problem with the wires. 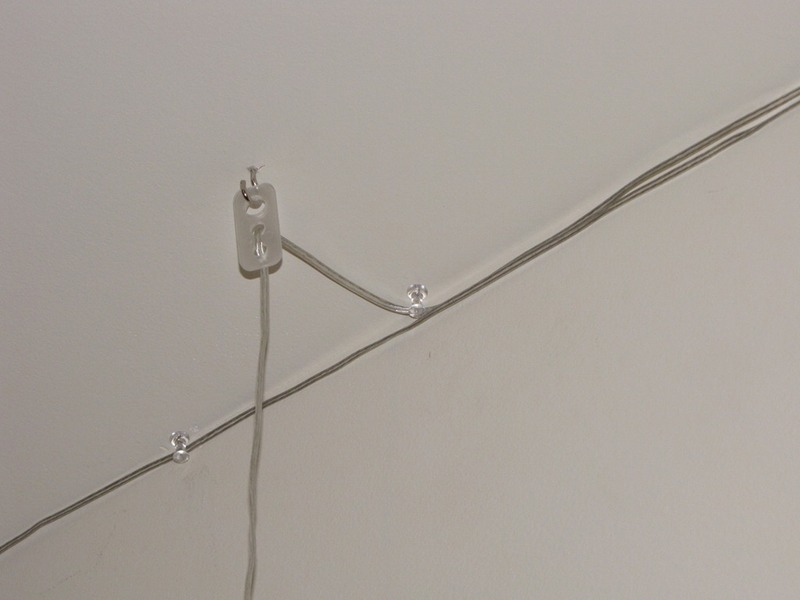 I got creative with some thumb tacks and managed to secure the wires in a way that didn’t look absolutely terrible… Once lit, I knew my efforts were worthwhile! 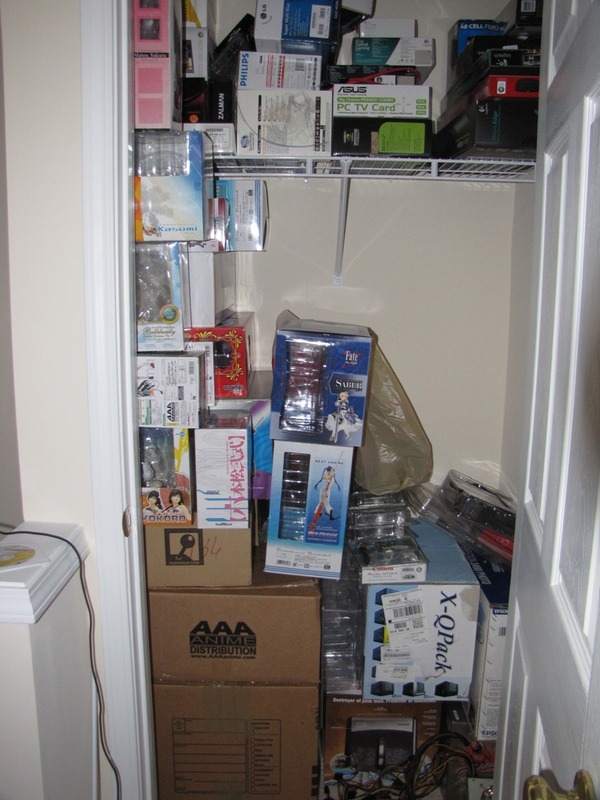 Then it was on to the DETOLF cases I’d bought. Since I only had one set of stick on lights, I could only do one case for now. It was somewhat difficult trying to figure out the best placement, and I ended up putting them in the front corners. That way, the front of the display was flooded with light and maximum illumination was achieved. The real problem, however, became figure placement. Keeping the larger figures on top meant they would reduce the amount of light filtering down. I ended up with some rearranging to achieve better results. 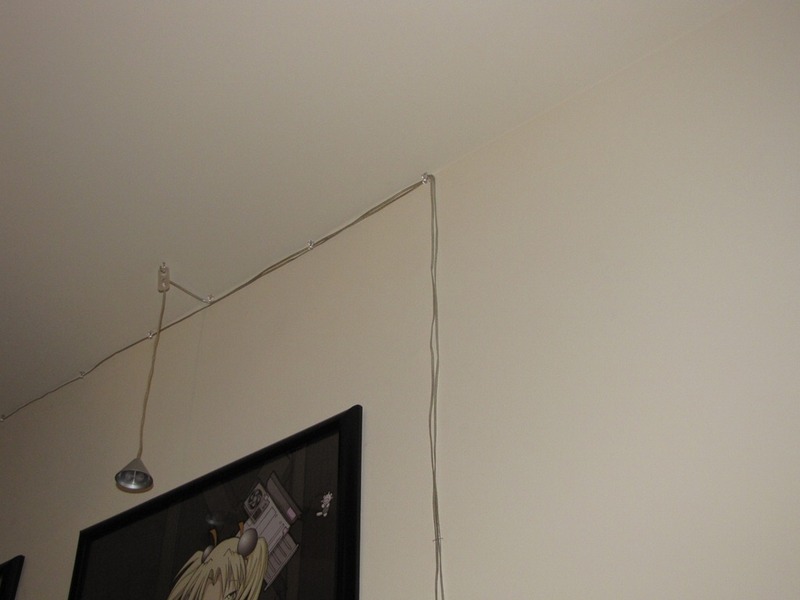 The wires for both lamps were threaded through the opening in the top then bundled up. The control switch is attached near the front of the case to allow for easy access. 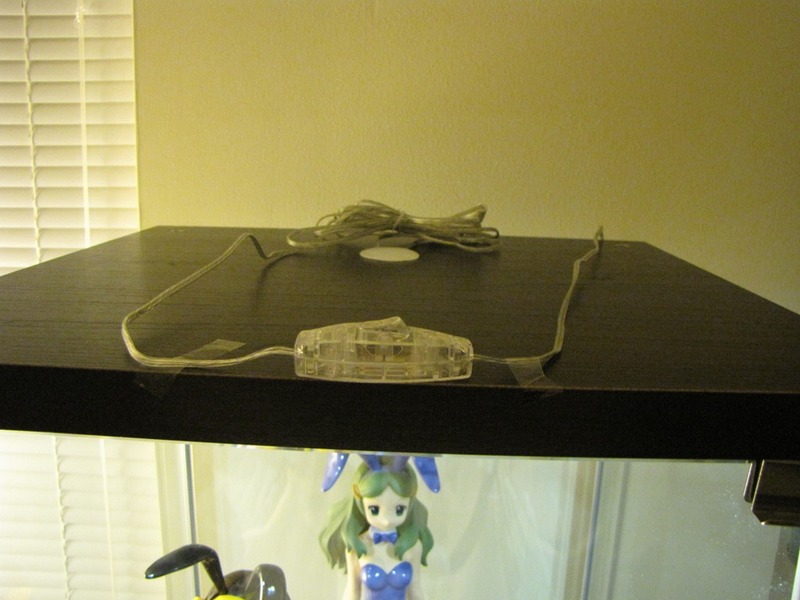 Finally, the power wire was run down the corner of the case and secured with transparent tape. Fortunately, the wires are semi-transparent and easy to hide against the glass. I may eventually do something with the power sources and link them together with one master switch. The final results look nothing short of stunning. Now that this experiment is a success, I’ll need to go back and get another set for the other case. 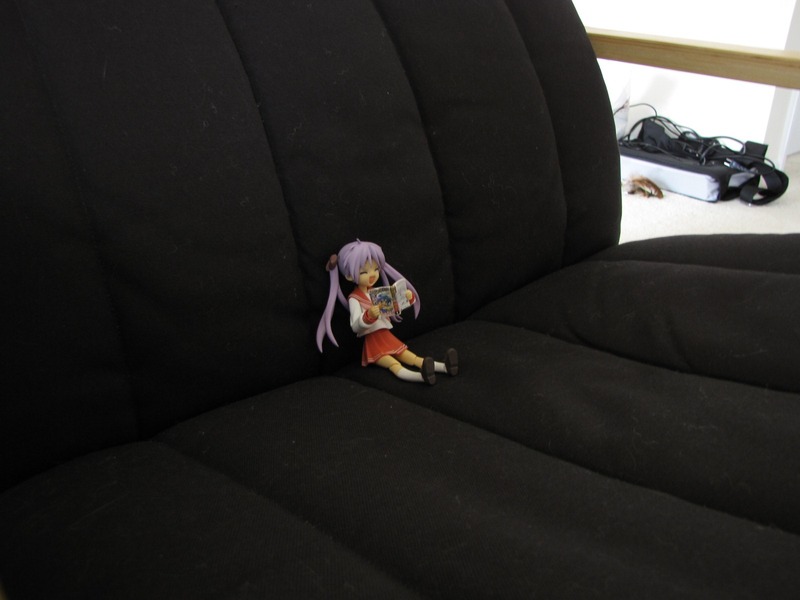 Yesterday, I visited an IKEA for the first time. 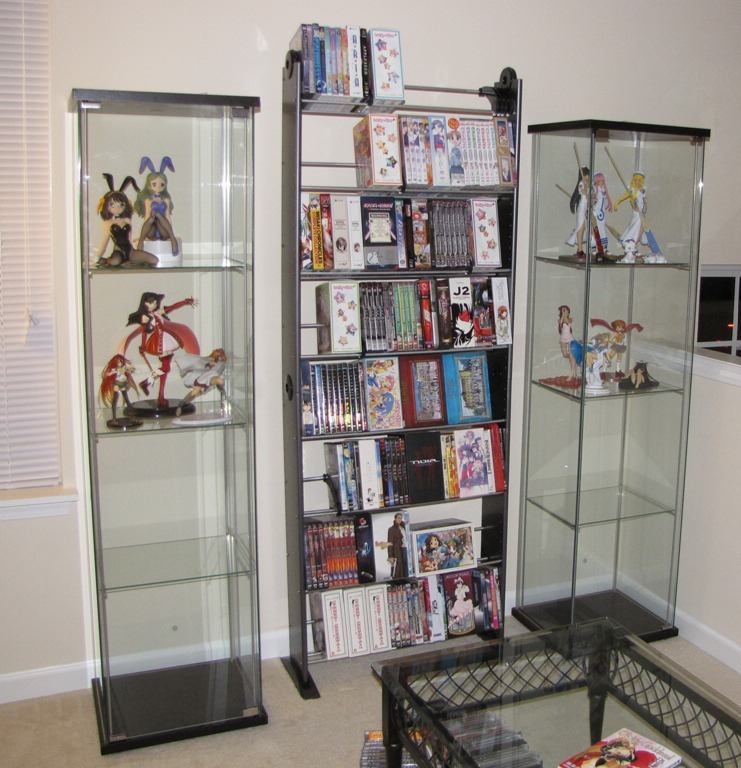 After seeing a couple of recommendations, I decided to scope out some new display cases to use for the various figures in my collection. 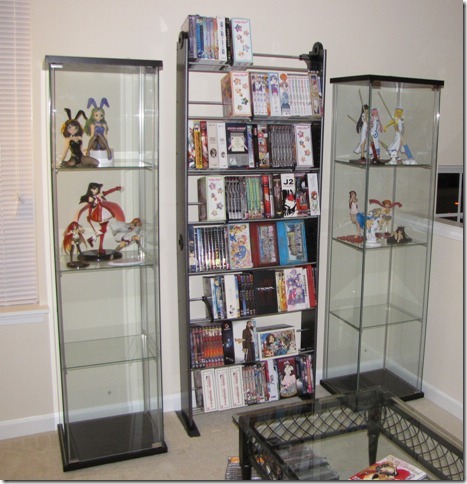 I spied the much praised Detolf cases and decided I had to bring two of the home. After much labor in putting them together and getting them cleaned up, I’m happy to present the results. 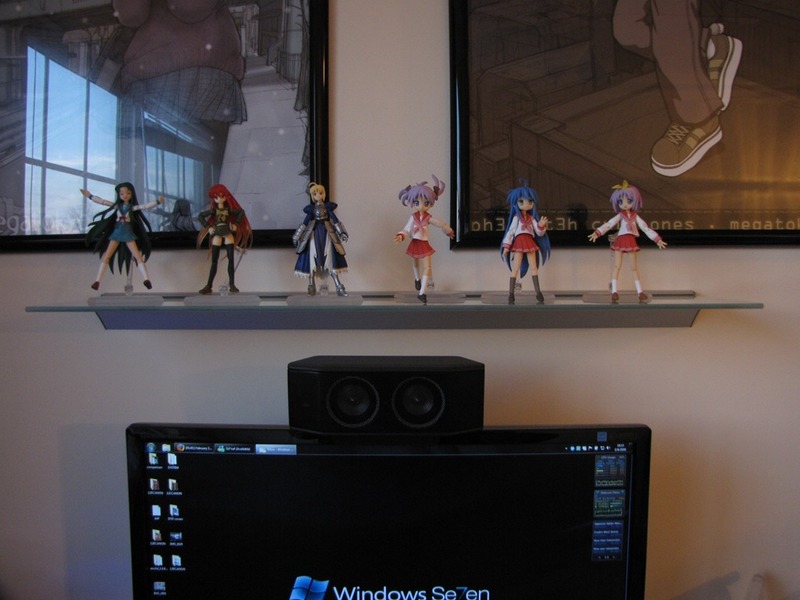 I’d also picked up a wall shelf for the purpose of displaying Figma. I got that mounted today and loaded up. That looks pretty good as well. In all, that was $150 well spent. 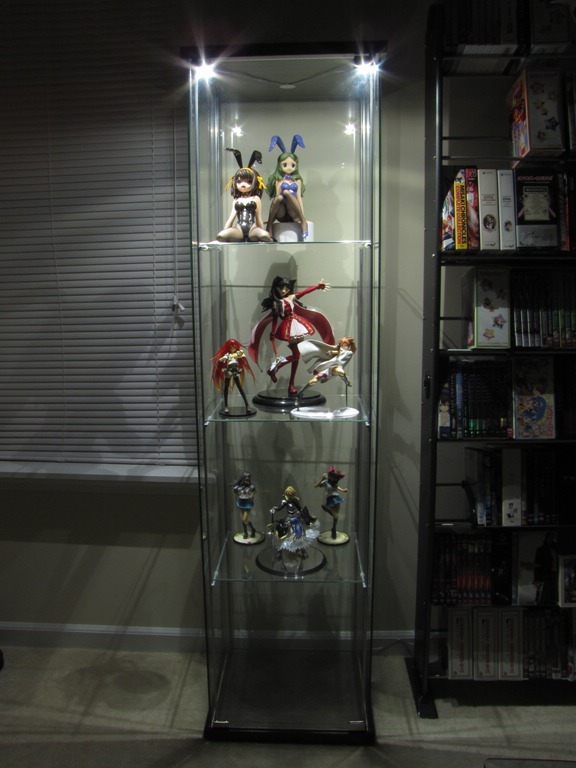 I’ll primarily be using the display case for the larger scale quality figures. 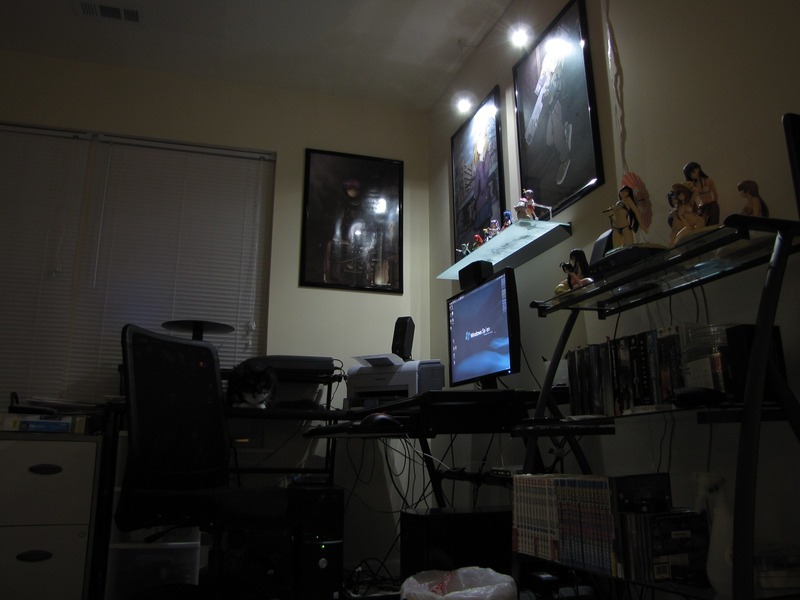 I may also eventually add some lighting, though all of the stuff I’d seen at IKEA was halogen based, which gets too warm for my taste. The extra shelf space has also given me some extra room on my main shelf to display the smaller figures and space things out.